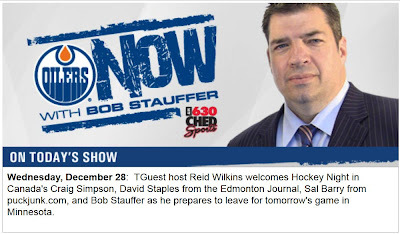 Yesterday, I was on a radio show called Oilers Now (630 CHED in Edmonton). I spoke with guest host Reid Wilkins about hockey cards and collectibles. Some of the things we discussed included the old Red Rooster trading card sets, the god-awful Wayne Gretzky doll (pictures below), how Mark Messier destroyed the Blackhawks in the … Continue reading "Audio: "Oilers Now" Radio Appearance"